Click on the Pin button to pin a Pinterest optimized image. If you’ve ever wondered how to stop emotional eating, I’m going to show you exactly how in a few minutes. But before that let me explain what emotional eating is! First of all, I believe that binge eating, overeating, and food addictions are all different aspects of emotional eating. The common thread between them is that you are using food to deal with your emotions. It’s an unconscious strategy that makes you eat “food for emotions”: relief, love, peace, satisfaction, nurturing, excitement, belonging, comfort, self-worth, etc. In other words, you’ve learned to cope up with life by using food. 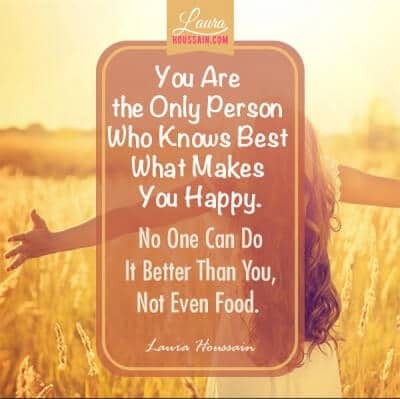 You’ve learned to depend on food for your well-being, to release stress, and to cope with emotional pain. Instead of taking care of your emotional self, you feed it with food. What causes emotional eating in the first place is irrelevant, and digging into why it all started will not make it stop. Maybe it started with your mother who gave you sweets to make you stop crying or as a reward; maybe she, too, was an emotional eater. How you developed your emotional eating disorder doesn’t matter. The fact is that you have created unhealthy strategies to handle emotions. 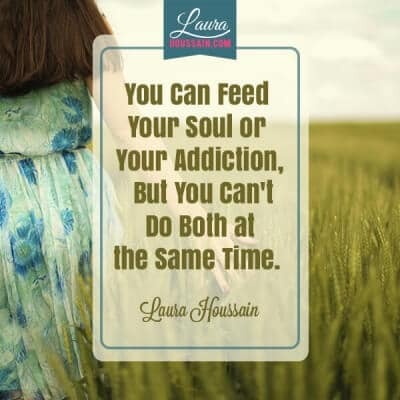 To end your addictive behavior, you have to create new strategies that will serve you better. Below are the three most important skills I teach all my clients to help them go back to normal eating: listen, accept, and take care of yourself. You may be a great listener and feel you don’t have to learn anything in this area. 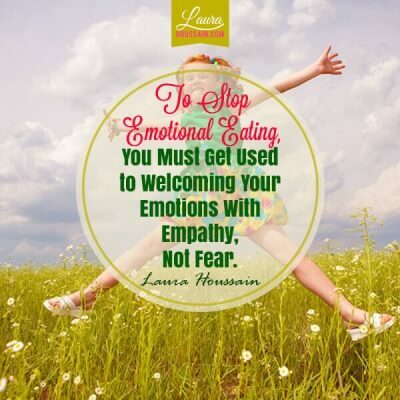 But if you have some form of emotional eating, I know you need to learn to “listen” to your feelings. I know a food addict who only enjoys eating sushi. There is probably something in the texture of sushi that evokes a sensation he misses in his life. During my training in EFT (Emotional Freedom Techniques), I read about a woman who compulsively ate bread soaked in milk. During an EFT session, she discovered that she was trying to get the sensation of breast-feeding through the bread – she was never breast-fed as a baby. Once she was able to release that need for nurturing, she managed to let go of her bread and milk addiction permanently. I don’t have enough space in this article to provide all of my many examples. But I hope you understand that if you really listen to yourself, you will find answers. You may need the help of someone like me to gain that level of insight, but you can certainly do a great deal of the work on your own. First, start learning to pay attention to what’s happening in your body. For example, if you feel a compulsion coming on, ask yourself, “What am I feeling?” If you can’t figure it out at first, don’t worry. Try to sense where the feeling is in your body. Then ask yourself again, “What is this feeling?” You don’t have to try to analyze the emotion at this point; just gain awareness of how you feel. Practice this several times a day, any time you feel some sort of tension or negative emotion. This will be a great first step to start reconnecting with yourself. Second, always take a few minutes during the day to practice deep breathing in silence. Over time, this will help you identify what you feel. I feel that if I place my hand on my heart it makes my quick deep-breathing breaks even more refreshing. First, just focus on the breathing for the first six to eight breaths; then try to listen to your body, your heart, and see if there are emotions you need to hear. The second most important skill you must develop to break free from emotional eating is acceptance. Acceptance means looking at yourself and your emotions without judgment (Tweet this). I want you to develop the idea that what you are, where you are in life, the way you look, and the way you feel is acceptable. Perfection rejects, judges, and requests the impossible. You must cultivate acceptance; a feeling that you are enough (Tweet this). You must accept that it is OK to be imperfect and human if you want let go of emotional eating. Shame or a form of self-rejection or not belonging – “I’m bad,” “I don’t deserve,” “I’m unworthy,” “I’m ugly,” “I’m not lovable,” “I’m not good enough,” “I don’t belong” – is the root cause of your food addiction. These core beliefs will generate feelings of loneliness, abandonment, guilt, emptiness, guilt, anger, or hopelessness over and over until you address them. Learn to cultivate acceptance by listening to your emotions with empathy (Tweet this). Give yourself the empathy, love, and acceptance your parents and peers were not able to give you while you were growing up. The next time you hear yourself call yourself bad names, try to watch yourself doing that with empathy. Acknowledge that you have learned to treat yourself poorly and that you want to learn something new; but by all means don’t put yourself down even more with thoughts like “I should,” “I must,” “I’m nothing if …” I have barely touched the subject of acceptance here, but practicing listening to yourself with empathy can do wonders for you. Listening and accepting are very important parts of “taking care of yourself.” That’s why you must practice them all the time. However, you also need to develop the solid confidence that you can rely on yourself. Your emotional eating pattern highlights the fact that some of your needs are not met. Whether your parents or caregivers neglected you, criticized you, put unmanageable pressure on you, manipulated you, or looked to you to get their needs met, you probably suffered from some form of emotional abandonment or neglect. You learned to take care of others first (instead of you). That can happen in healthy families so it doesn’t mean that you parents were bad parents. You may be very successful and still trying to meet your parents’ expectations. Sometimes, you tried to support others as a child; so much so that you don’t even sense who you are any more. That’s why the first step of this article is “listen.” You cannot take care of yourself if you don’t know what you want, need, and feel (Tweet this). Once you do know, you can start nurturing who you truly are. This can start with taking care of your appearance, your home and career, finding a more positive and giving partner and friends, or creating new beliefs about yourself and life. Dare to express your needs (Tweet this) and do things you would have never done before, like saying no: no to some request or some covert agreement with someone, no to toxic relationships and abuse, and yes to opportunities and things that seem impossible or too big for you. One of the most important steps for you to take will be to learn to put your personal needs first and to love yourself first. Our society teaches us that it is immoral to be selfish, but is that true? Is it really true that it’s wrong to be there for you no matter what pressure other people might be putting on your shoulders? Is it wrong or bad to give yourself what you need? These are challenging questions, and my answer is “no!” to all of them. My truth is that I’m a much better person when I don’t try to please anyone else before I please myself. This way, I can receive other people’s requests from a much more centered place and develop healthy relationships with myself, food, and others. I invite you to reflect on the virtues of escaping the people-pleasing trap, whether you’re pleasing people in your life or some internalized parent who just never could be satisfied. I hope this article has inspired you to make your emotions and yourself the center of your attention and care. This is how you will break free from emotional eating and any addiction for life. You will be surprised how generous, kind, and loving you can be when you are centered within yourself. Don’t let the fear of being judged and rejected sabotage your efforts. Accept that you just can’t please everyone, so you might as well start with yourself. You deserve the love, attention, and care you didn’t get when you needed it. No food can change that, but you can. You can choose to love and nurture yourself in new ways that will fill your soul rather than your stomach. If you want more information on how to eat normally again soon, or get free updates, sign up for my newsletter. Just enter your first name and email in the form below and click on the subscribe button. I’ve lost 67 pounds In the last 6 months sometimes I crave a lot of foods I don’t wanna go backwards and gain it all back any advice how I can stop myself.? Thank you for your comment and reaching out to me. I don’t think I can summarize the answer to that question here and there is no one-size-fits-all answer. It depends how and why you have lost those pounds. People who diet often get results at some point. But they find it hard to make it last because they have used strategies that only work short-term. Understanding your true motivation to lose weight other than taking care of your health matters a lot as well. I strongly suggest you take a look at this post I have written on the reason why you haven’t been able to stop binge eating. It will help you get a quick overview of what you can do to stop binge eating forever and keep the weight off. I’m glad you have decided to be gentler with yourself. Shaming, blaming, criticizing and putting down has become so rampant in our society these days. It’s vastly detrimental to our self-image and doesn’t help change our eating habits in any way. Being gentle to ourselves helps soothe external pressure without food. Let me know how it goes. 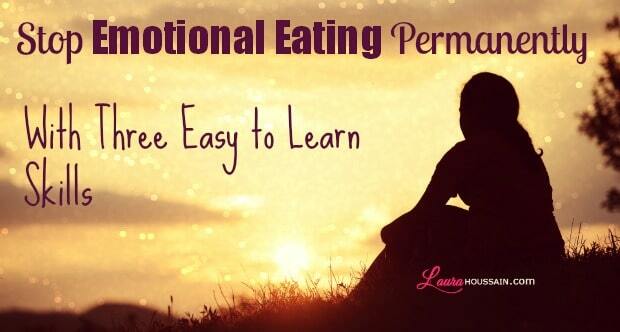 not every emotional eating problem comes from parental neglect…tsk tsk… that’s bad advice. I read my article again and I don’t see the part where I said emotional eating always comes from parental neglect. Are you talking about the part where I said “you’ve learned to take care of others instead of you.” If that’s so? Then, that’s what I think. Of course, each person is unique. The man who inspired me to do this work has the sweetest parents. Yet, he felt rejected by his father at an early age. What matters is what he perceived not what really happened. I believe that when we are children, we tend to take everything that happens around us personally and create “survival strategies” like comfort eating… We can have the loveliest parents on earth. If they’re not well, we can feel neglected and rejected and not understand that mommy or daddy is just not well. My friend’s father went through a depression when he was born and he made it a story about him…. It doesn’t matter to me how you became an emotional eater. What is important is that emotional eating is a way to compensate or comfort and that happens because some of your emotional needs are not met. You have every right to disagree with my advice. It’s OK. I can only express what I truly believe in. I just wish you hadn’t discounted the whole article for one short paragraph. 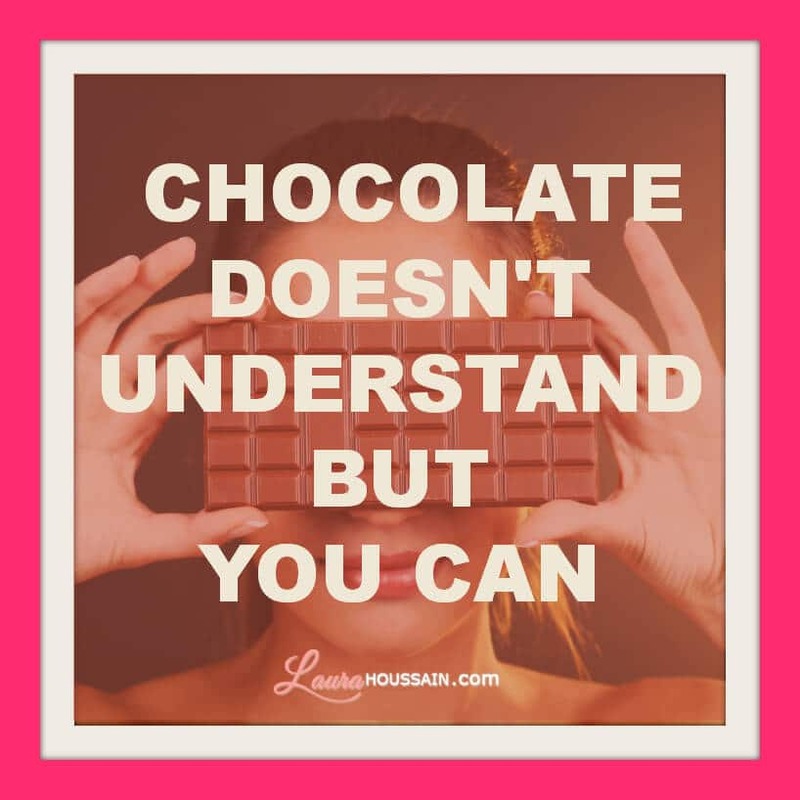 I honestly believe and know that if you take the steps I’ve given in this article, you will be closer to controlling emotional eating than ever. My only purpose is to empower women to break free from emotional eating for life. It’s not to point the finger at anyone. Actually, I think that taking responsibility for what you’ve become is the most empowering experience any woman and any man can make. Your website looks like it has information that I am looking for. © 2015-2019 WISE WEB PUBLISHING. All Rights Reserved.